"The Candles are a reminder to pray for all those who carry lifelong suffering following abuse - they symbolise repentance, light in the darkness and hope." The annual Day of Prayer for Survivors and Victims of Sexual Abuse will take place on Friday 15 February, a week before Pope Francis' gathering in Rome with senior bishops and major religious superiors to discuss child safeguarding throughout the universal Church. During their recent retreat in Knock, the bishops of Ireland blessed and dedicated candles of atonement for use in their Cathedrals and parishes throughout the country on 15 February and thereafter during the celebration of Mass and other liturgies. Archbishop Eamon Martin said, "I welcome the candles of atonement initiative, and the accompanying prayer which was written by a survivor of abuse. In lighting these candles we will bring to mind our brothers and sisters, and their families, who have been left with a lifelong suffering as a result of abuse, whose trust was so deeply betrayed and whose faith has been so cruelly tested within the sanctity of the Church by perpetrators of abuse. "In recent weeks I have been privileged to meet with victims and survivors of abuse and members of their families in the four provinces of Ireland. Many have spoken to me about the importance of prayer for survivors, and for the need for the Church to be open to justice, to atone and never forget them. I have been humbled by their courage and overwhelmed by their generosity of spirit. It is my intention to relay the lived experience and insights of Irish survivors, both personally to Pope Francis, and more widely to the safeguarding meeting in Rome later this month. "I encourage dioceses and parishes to undertake this new prayer initiative and to light the 'Candle of Atonement' in Cathedrals and churches across Ireland. It would mean a lot to survivors if the 'Candle of Atonement' was a permanent feature in our Cathedrals and parish churches. 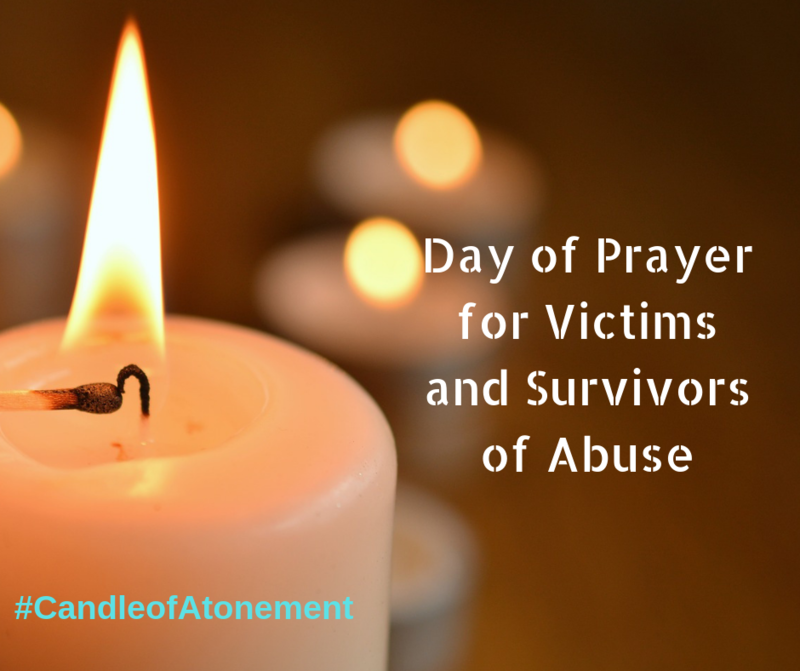 People visiting the church for quiet prayer might light the 'Candle of Atonement', pray the prayer, and bring to mind someone they know who has been directly impacted or affected by abuse. It would mean a lot if the Candle was lit at all Masses on the 15-17 February, and also on the weekend of 23-24 February while the safeguarding meeting is taking place with Pope Francis in Rome. Divine Mercy Sunday is another significant date, because I am convinced that prayer and outreach to survivors of abuse is a modern-day corporal and spiritual work of mercy." Archbishop Eamon continued, "The simple prayer ritual for the dedication and lighting of the 'Candle of Atonement' in Cathedrals and parish churches is based on the very moving Penitential Rite composed and prayed by Pope Francis at the final Mass of the World Meeting of Families 2018 in Phoenix Park last August when he implored the Lord's mercy for the crimes of abuse and asked for forgiveness. "The 'Candle of Atonement' and accompanying prayer are offered as a reminder to all of the need for us to atone, to ask forgiveness as a Church for the suffering caused by abuse. My hope is that these candles will be lit in Cathedrals and parishes across the country as a reminder of the need for atonement and that they will symbolise repentance, light in the darkness and hope."